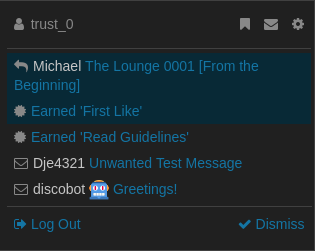 Trust level 0 (New User) is the starting trust level for all new members. Your options for what you can do are fairly limited. You are primarily limited to seeing posts and getting a feel for moving around discourse. Youll gain more permissions automatically as you spend time reading posts and interacting with other members. Sandboxing new users in your community so that they cannot accidentally hurt themselves, or other users while they are learning what to do. Granting experienced users more rights over time, so that they can help everyone maintain and moderate the community they generously contribute so much of their time to. The homepage makes a great place to start off with because well its the first thing you see upon entering the forum. Going from left to right you can see different ways of filtering topics. You can filter topics based upon either the category, tag, or even both if that tickles your fancy. 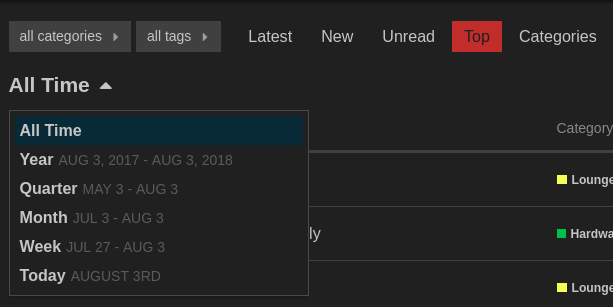 To filter for both categories and tags then you just select what category you want and then the tag to sub filter it by. 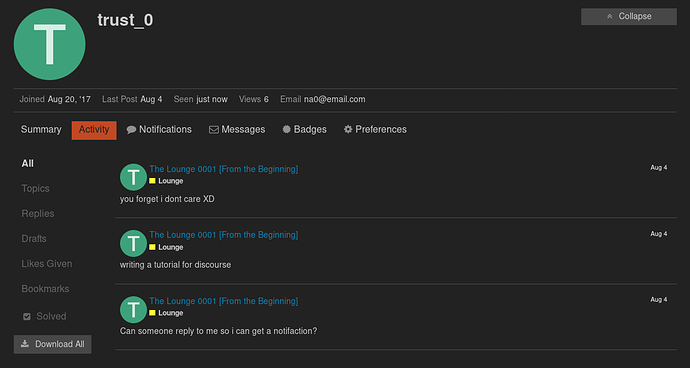 The latest section is the default view and will show the most recently updated topics. New is where all of the topics you have yet to enter will be filtered. Unread filters any topics with tracking status that have been updated. Top filters the most popular topics within a time period. This time period ranges from daily to all time. The last one is categories which just gives you a more visual representation of the latest section. At the top right of the screen is where you have the navigation buttons. This includes search, hamburger and the user section. The search function should be self explanatory. The hambuger menu is where you can access all of the forum related stuff. This includes stuff like the FAQ, tags, groups, etc. The final one is the user icon which contains everything that is related to you. You can check notifications, goto your settings, etc. The top right corner of your icon will indicate how many notifications you have. These can be likes, replies, quotes, etc. Ok. TL0 should mostly be done now. Any feedback on things i might have missed, needs to be included, etc? Looks pretty good to me so far. maybe you could include a brief overview of the search function or how to create topics or are those more suited for later trust levels? Great foundation. You’ve covered alot of ground. 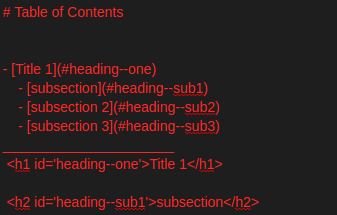 Actually considering how long this tutorial will be maybe you should plan on having a table of contents for it. Up to you really. I’m addicted to TOCs. Sure, Ok to show you I’m go to have to use images cause discourse can’t show how to do it, I’ll also make this post a wiki so you can access the code. I’ll also make this post a wiki so you can access the code.